Margot Robbie's Harley Quinn Eats Her Sandwich During an Intense Chase Scene! Margot Robbie makes a run for it while holding a sandwich in her hand for an intense Birds of Prey chase scene on Tuesday (April 9) in Los Angeles. The 28-year-old actress’ character Harley Quinn was seen in a foot police pursuit with Rosie Perez‘s character Renee Montoya chasing after her with a gun drawn. At one point, Harley starts eating the burger and throws a shoe at Renee! 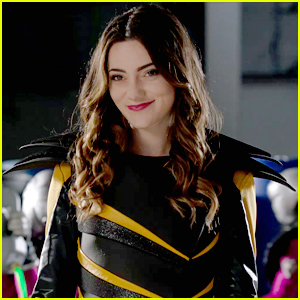 Renee becomes a member of the Birds of Prey at some point, so perhaps this a scene early on in the film before that happens? 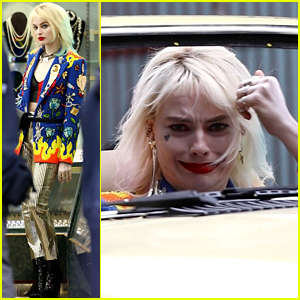 Margot Robbie Goes Snack Shopping as Harley Quinn for 'Birds of Prey' Scene! 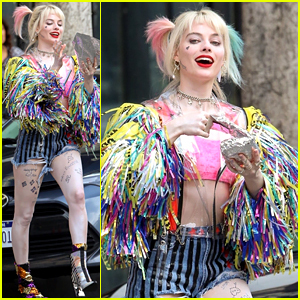 Margot Robbie's Harley Quinn Serves Up Margaritas on 'Birds of Prey' Set! 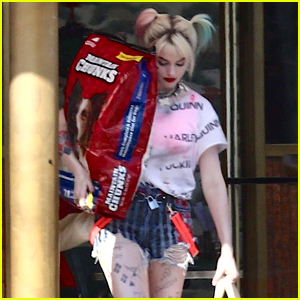 Margot Robbie Picks Up Dog Food as Harley Quinn on the Set of 'Birds of Prey'! Mary Elizabeth Winstead Films 'Birds of Prey' Scenes with Her Stunt Double! 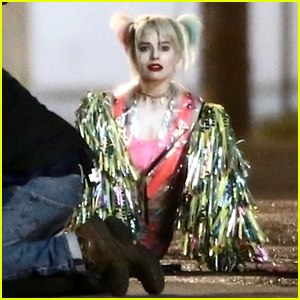 Margot Robbie as Harley Quinn in 'Birds of Prey' - First Look Pics! 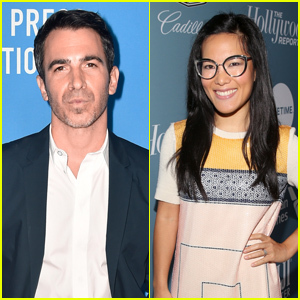 Chris Messina & Ali Wong Join 'Birds of Prey' Cast!